All That Glitters: Led Zeppelin - "Four Sticks"
Sometimes the impetus behind a classic recording is the need to show one's rivals who's the real champ, as John Bonham did with his masterful drum performance for the meter-shifting song "Four Sticks". Incessant radio play and millions of records sold worldwide over the last 40 years have made the various track selections from Led Zeppelin IV so ubiquitous and familiar, one can forget how unconventional these songs can be. Take “Four Sticks”, a hynpnotic raga-rock groover that alternates between 5/8 and 6/8 time (neither of which are common meters in popular music). In fact, the song proved so tricky to nail on tape that it was almost abandoned during the Led Zeppelin IV recording sessions, and was only played live once by the band, during a Copenhagen, Denmark concert in May 1971. The title of “Four Sticks” clues listeners as to what finally allowed the song to be salvaged. Led Zeppelin’s secret weapon was not-so-secretly drummer John Bonham, the rough and tumble, heavy-hitting boozer whose incredible drumwork impressed even those who would normally find the British quartet’s music distasteful. The story goes that Bonham came into West London’s Island Studios one day after seeing former Cream stickman Ginger Baker’s new band Air Force, ready to give the tune--then under a working title—another go. Bonzo had been thoroughly impressed by his contemporary’s performance, but harboring a competitive streak, he was eager to one-up Baker right there and then. So a fuming Bonham downed a beer, picked up a pair of drumsticks in each hand, and laid down two phenomenal takes that wound up turning what henceforth became “Four Sticks” into a keeper. It’s natural that Bonham would be the one to rescue “Four Sticks” from the dustbin, for as heard on record it’s the drummer who is the one who defines the track. Despite guitar and keyboard embellishments that stand out in the mix, the rhythmic nature of “Four Sticks” is its primary feature; there’s no guitar solo from Jimmy Page, and he and bassman John Paul John lock in with Bonham’s busy drumwork (who, per his job description, ensures everyone stays in time in the face of potentially-disorienting meter changes) instead of crowding the spotlight for themselves. Augmenting one another to form a three-man rhythm section, the entire band expands and contacts around the beat like the fluid inside of a lava lamp, but never abandons the main groove, for the groove is the song. Robert Plant’s amorous croons of “Ohhhh baby” ensure everyone is aware this is a Led Zeppelin song, but he too contributes to the Eastern vibe by singing an Indian-flavored melody as the tune draws to a closes. 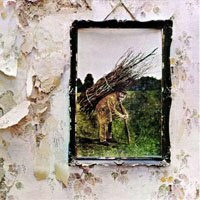 Though “Four Sticks” never gained a regular spot in Zep’s setlists alongside “Stairway to Heaven”, “Whole Lotta Love”, and other heavyweights, like all the cuts from Led Zeppelin IV it has proven to be a reliable chestnut of rock radio, its trippy groove an unnoticed anomaly amongst more standard 4/4 time hard rock and heavy metal fare it’s often placed alongside. No one ever balks at “Four Sticks” and its atypical groove, for the song has become so ingrained as an accepted piece of the classic rock canon that it comes off as yet another stock example of loud rock convention, even though it is more than that. However, it’s always easier to stick to hard rock formula than to take a chance on a strange-yet-exciting detour, one that may only come together in the end because one of the performers wanted to upstage one of his rivals. One final note: while Led Zeppelin only performed “Four Sticks” live on a single occasion, Robert Plant and Jimmy Page resurrected it (with orchestral backing) for their “Unledded” MTV Unplugged taping in 1994 and subsequent promotional ventures, and Plant still pulls it out for his solo excursions from time to time. Seems that beast wasn’t so hard to tame after all. * "The Battle of Evermore"